Did you know we have a plugin specifically developed for Gmail? Use it to create and manage campaigns right from your Google Mail account. Reply's Gmail plugin is a light-weight version of Reply that lets you operate with your currently launched campaigns and add new prospects and templates to your pre-scheduled email sequences. And since both apps work 100% synchronized, every single change you make in your Gmail inbox tab will also be recorded and updated in your web-based Reply account. With this plugin, you can always stay tuned and updated on your leads’ status without even leaving your inbox and be sure that Reply saves the changes. Open the Gmail account you use for sending emails in your Reply campaigns. Enter your Reply credentials in the popup window that appears. Click the Compose to begin working with the plugin. 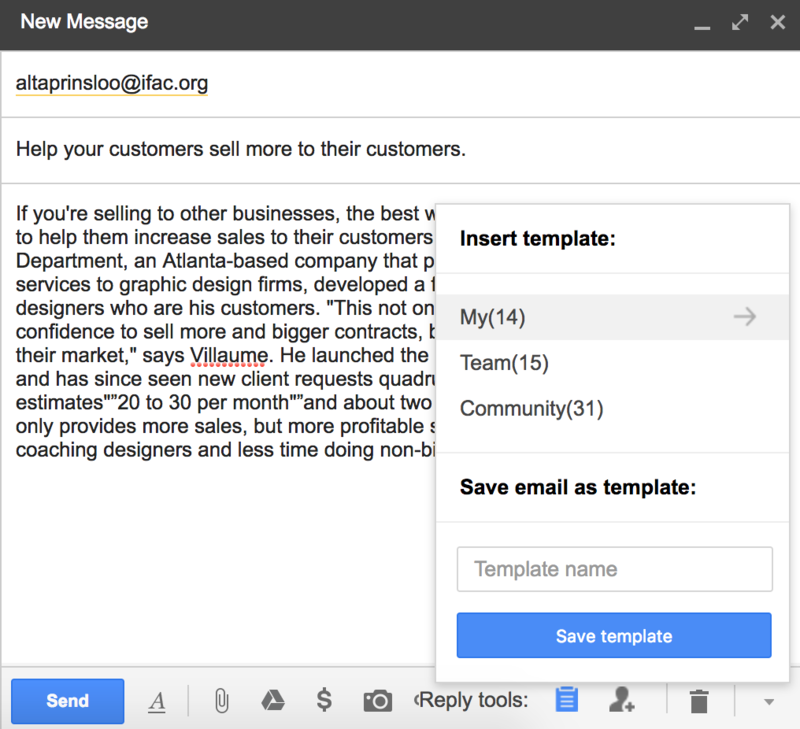 Save any email you compose as a template that would be saved for both Gmail and web-based Reply versions. 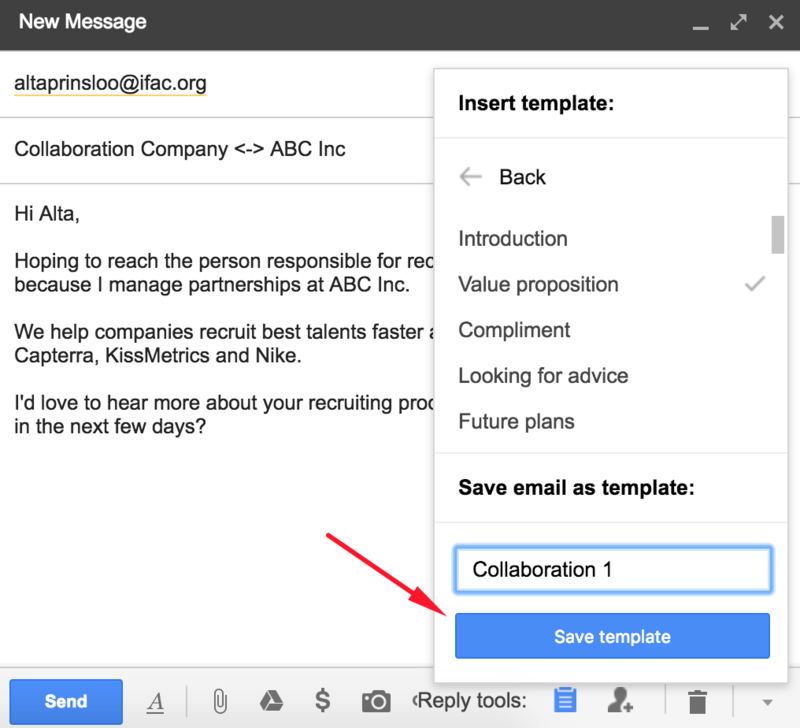 After you have finished composing an email, click the Tempate button and select the Save template option. Select and paste any of your current Reply templates into the email body. This is also done using the Template button. Simply select a template you want to paste and click on it. 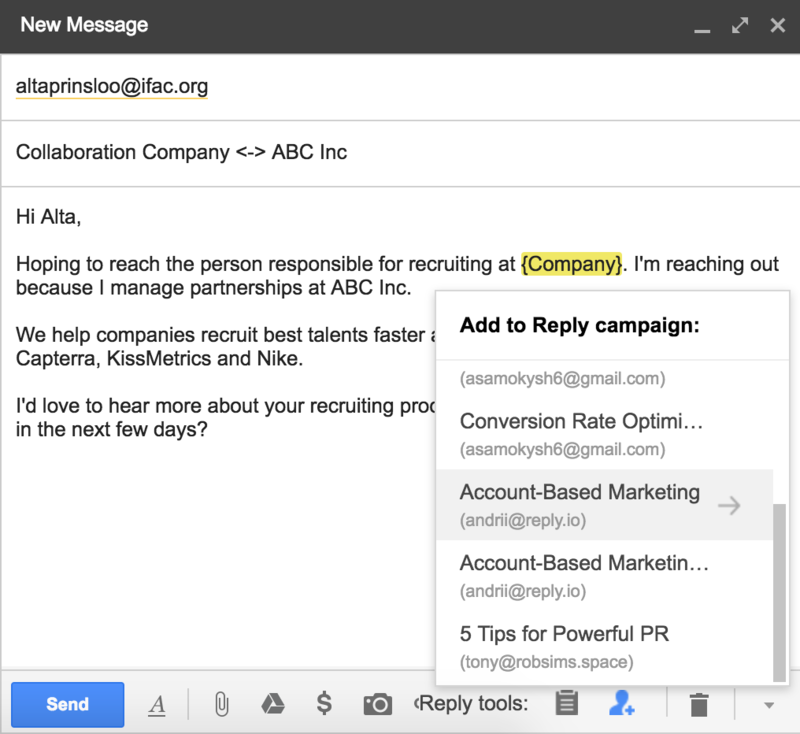 Add contacts to one of your Reply outreach campaigns in 1 click. To do this, click the Add to campaign button and select a campaign you want to add the recipient.